Everyone loves a walled garden, and even though there's a good deal of bare earth at this time of year, it's a time when the structure of the kitchen garden at National Trust property Tyntesfield can be properly appreciated. 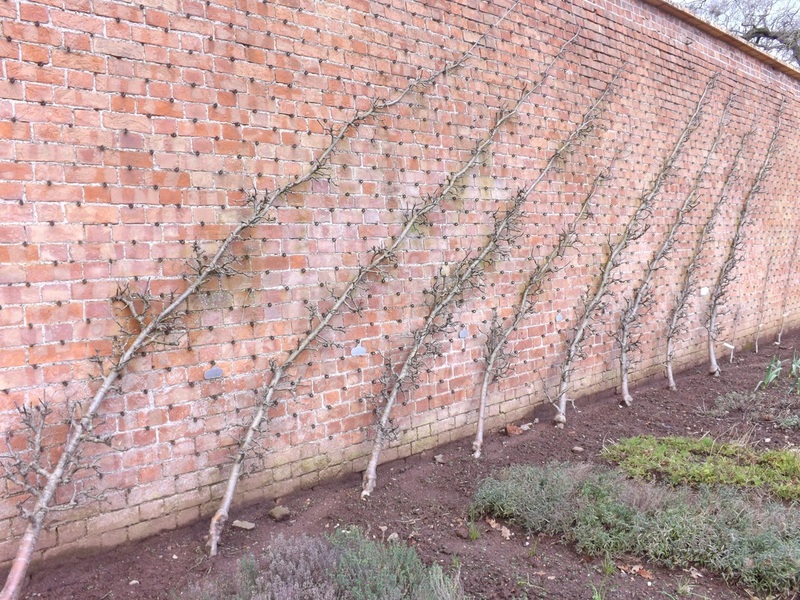 All that soil is full of promise and I especially love the structure of the espalier fruit trees, and the lines they make against the brick and stone walls. The bare skeletons are particularly special at this time of year when there's not much else to see, save a few evergreen herbs. I'll be going back in summer when the branches are laden with pears, plums and apples. It's a great way to grow fruits as the walls provide shelter and the trees take up minimal space. Just be sure to allow plenty of room between the trained branches so that air can circulate. 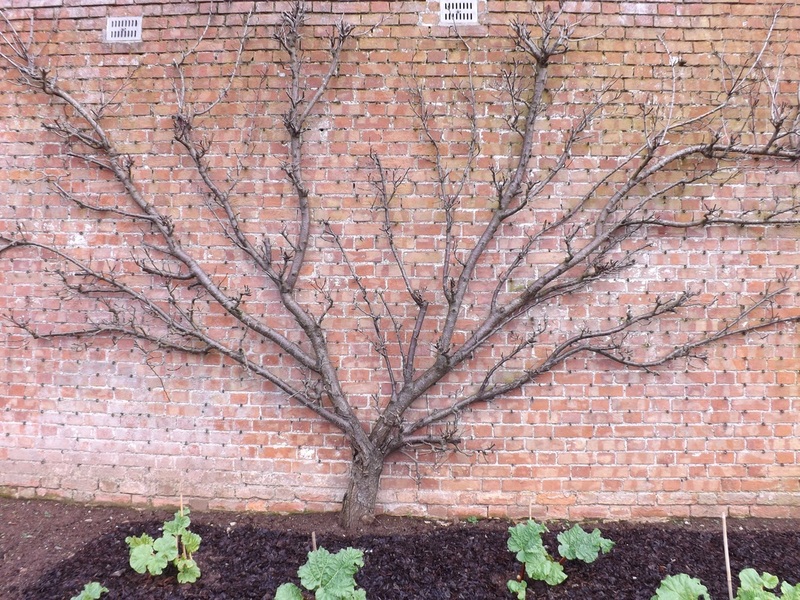 Most fruit trees will flourish if you're lucky enough to have a sheltered south-facing bit of brickwork, even exotics like peaches and nectarines.